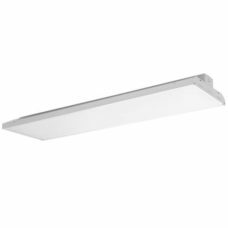 LED Flood Light ECNFL50 belongs to a group of ground based lighting solutions, which provide safety and security for private and public property occupants, highlights landscape features, and showcases architectural details of a wide range of structures. Flood lighting installed and operated as a ground-based light solution illuminates building, bridges, flagpoles, billboards, etc. Benefits of LED flood lights include reduced maintenance cost and electricity usage. 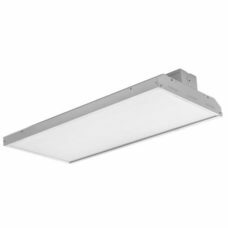 ECNFL50 is manufactured for installation in locations subjected to severe weather conditions and is IP65 rated. Die cast aluminum housing with durable powder coat finish affords long term resistance to weather. Heat-resistant polycarbonate lens sealed with a seamless silicone gasket protects internal electronics from exposure to water and dust particulate. Optional lens protection includes: full glare shield, half glare shield & wire guards. Universal 120-277 AC voltage (50-60Hz) is standard. Yoke or Knuckle mount installation options are available. ECNFL50 has a L70 rating of 69,000 hours and is available in Correlated Color Temperatures (CCT) 3000K, 4000K and 5000K. ECNFL50 is cUL and DLC listed. DLC rating qualifies for tax rebate credit when offered by the local utility company. Installation Locations: Exterior. Walkways, Landscaping, Building lighting. Listings: cUL listed for wet locations. IP65 rated for ingress protection. DLC standard approved. Complies with FCC Part 15, Class B. Complies with EN61000-4-5, surge immunity protection (1kV). Yoke (U Bracket) or Knuckle Mount. Optional full glare shields, half glare shields & wire guards.